Samsung Electronics introduces the 360 Round, a new camera for developing and streaming high-quality 3D content for specialists and enthusiasts who demand a superior virtual reality (VR) experience. 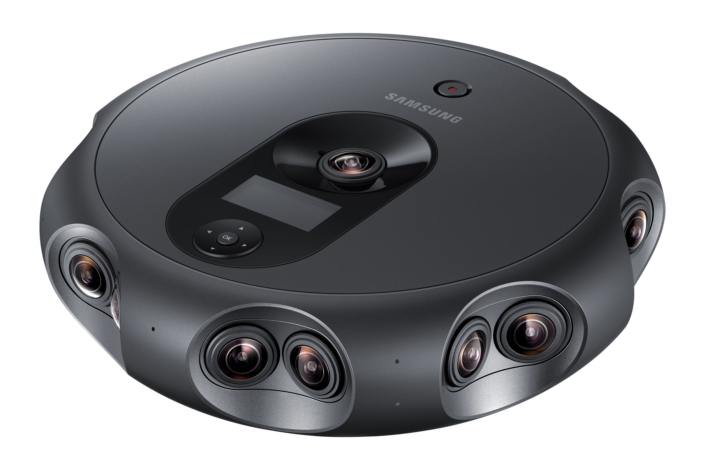 Announced at the Samsung Developer Conference (SDC 2017), the Samsung 360 Round uses 17 lenses—eight stereo pairs positioned horizontally and one single lens positioned vertically—to livestream 4K 3D video and spatial audio, and create engaging 3D images with depth. The Samsung 360 Round will be available in October in the United States before expanding to other markets over time. For more information please visit http://www.samsungmobilepress.com or www.samsung.com/galaxy.